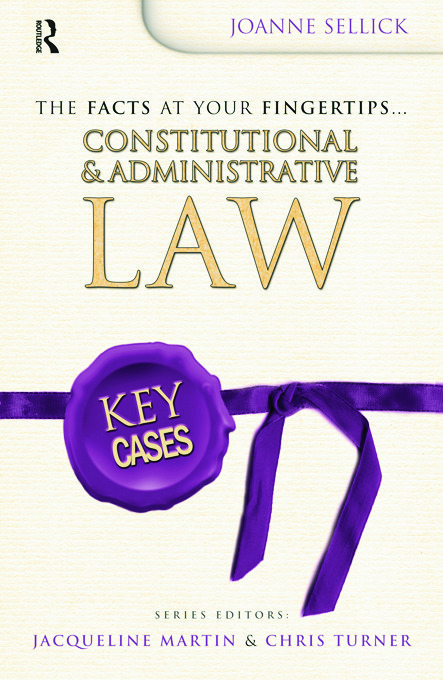 Key Cases is the essential series for anyone studying law, including A Level, LLB, ILEX and post-graduate conversion courses. Understanding and memorising leading cases fully is a vital part of the study of law - the clear format, style and explanations of Key Cases will ensure you achieve this. Key Cases provides the simplest and most effective way for you to memorise and absorb the essential cases needed to pass your exams. years' experience in teaching law students.